The Facts: Unnatural Ways is a three piece American band formed in 2012 by guitarist/vocalist Ava Mendoza. The group calls Brooklyn, NY home, where it plays many local shows each year. UW also keeps busy on the road and has toured throughout the U.S. and Europe, often surrounding festival performances such as the Moers Festival (Germany), Victoriaville/FIMAV (Canada), and Jazz em Agosto (Portugal). The band has two full length albums on labels Tzadik and New Atlantis, and a third pending release on Sleeping Giant Glossolalia. Over their years of playing together the group has developed a deeply personal sound; raw, heavy and never far from an absurd nervous breakdown. Drawing from their backgrounds in noise rock, free jazz, and metal the band pushes the boundaries of written music to put on powerful and unpredictable live shows. Consistent lyrical themes include: political paranoia, inclusion/exclusion, alter egos and alternate realities. A funny and blunt celebration of the best and worst of the modern American landscape. Their second release, We Aliens, was released on John Zorn’s Tzadik label in August 2016. CDs available HERE. Write ava (dot) mendoza (at) gmail.com for digital files. 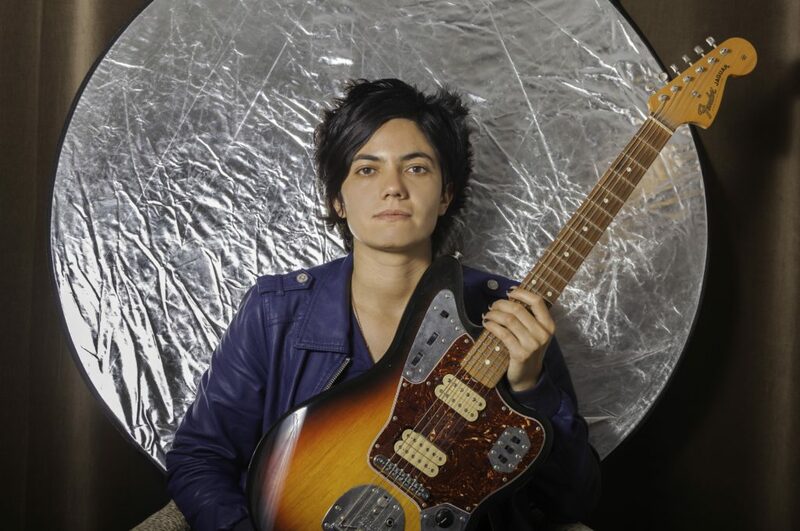 AVA MENDOZA is a Brooklyn-based guitarist, singer, songwriter and composer. Born in 1983, she started performing her own music, and as a sidewoman and collaborator in many different projects, as soon as she was old enough to get into 18+ venues. As a guitarist, Mendoza has received acclaim for her technique and viscerality. Her most ongoing work is as leader of experimental rock band Unnatural Ways, and as a solo performer on guitar/voice. In any context she is committed to bringing expressivity, energy and a wide sonic range to the music. Mendoza has toured throughout the U.S. and Europe and recorded or performed with musicians including Carla Bozulich, Fred Frith, Mick Barr, Nels Cline, Jon Irabagon, Jamaaladeen Tacuma, Tune-Yards, the Violent Femmes, Mike Watt, and more. Recordings are available on labels Tzadik, Weird Forest, Clean Feed, NotTwo, Resipiscent, and New Atlantis. 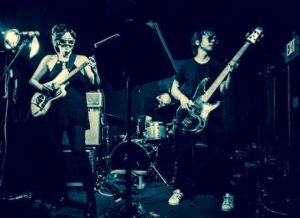 Friendly critics have quoted: “It’s… Ava Mendoza’s deconstructing of blues and punk into brutal shredfests that’s causing a ruckus in NYC’s DIY hubs” (Brad Cohan, Noisey.Vice). “A wizard on a semi-circle of effects pedals, but… equally adept with FX-less technique," (Lars Gotrich, NPR). She was featured as one of Guitar World‘s “10 Female Guitarists You Should Know”. 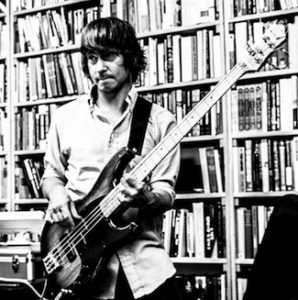 TIM DAHL is a composer and professional electric and double bass player, vocalist, and keyboardist living in New York City. He is best known as the frontman and bass player of the noise-rock band Child Abuse and bass player of the defunct avant-jazz group The Hub. He also writes and performs for the jazz ensemble Pulverize The Sound and the rock band Lydia Lunch's Retrovirus. Dahl has toured extensively throughout North America, Europe and Japan. He has performed with many notable musicians, composers and performers including Yusef Lateef, Archie Shepp, Eugene Chadbourne, Lydia Lunch, Tatsuya Yoshida, Von Freeman, Stanley Jordan, Mary Halvorson, Malcolm Mooney, Marc Ribot, Hamid Drake, Elliot Sharp, Weasel Walter, Marni Nixon, Peter Evans, Kevin Shea, Mick Barr, Jan Terri etc. 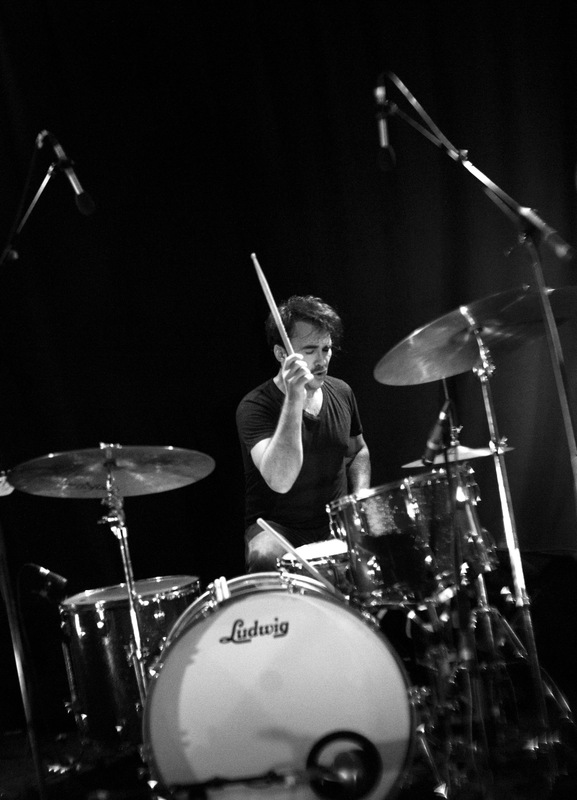 Sam Ospovat is a professional drummer and composer based in Brooklyn. In addition to Unnatural Ways, he plays in the Angelica Sanchez Nonet; Brandon Seabrook's Die Trommel Fatale; Enablers; and has an ongoing collaboration with double bassist Kim Cass exploring polyrhythms as a framework for composition and improvisation. Originally from Lincoln, Nebraska, Sam played piano and sang in boys' choir before picking up his first pair of drumsticks in 5th grade. After that, late nights spent improvising in friends' parents' basements revealed to him the wisdom of moving to the Bay Area, where he studied percussion with William Winant, Peter Magadini, George Marsh, Haitian master drummer Daniel Brevil, and received his B.A. in music from UC Santa Cruz and M.F.A. in Percussion Performance from Mills College. He has toured throughout the United States and Europe, and performed with many notable musicians including Cecil Taylor, Maryanne Amacher, Leo Smith, Terry Riley, The San Francisco Contemporary Music Players, Tune-Yards, Naytronix, Willie Winant, members of Rova Saxophone Quartet, Matt Mitchell, Ches Smith, Trevor Dunn and Bill McHenry.